BLOGRIO Olympics – Is it a Kind of unnatural Disaster? RIO Olympics – Is it a Kind of unnatural Disaster? Any Big event in any one’s life can make the fortunes or break the fortunes, depending on how well they plan the event and execute the tasks planned. for every 1 USD invested will generate 3.26 dollars until 2027.Much profits received in terms of profits does not go back to the public, it goes to the share-holders and investors. These predictions may not go well with Brazil with many problems surrounding the event. Historically, there are countries which were left with huge financial debts after Olympics were hosted, like Montreal in 1976 and Athens in 2004 have left the host countries with large financial debts. Olympics, a set of international sports competitions that happen once every four years. The Olympic Games are considered to be the world’s foremost sports competition with more than 200 nations participating. With such huge scale there is no doubt that the Olympics will provide temporary jobs, increase tourism and influence foreign investment. There will be a tremendous need for manual labor for building Olympic infrastructure. But the extent of impact depends on the way how well it is planned, maximizing the positives and neutralizing the negatives. But historically seeing the track record, the government of Brazil has not completed projects as promised. The state already owes 21 billion dollars to Brazils federal Government and 10 billion dollars to public banks and international lenders. A budget shortfall of 5.5 billion dollars is projected for this year. An 860 million dollar loan has already been granted to help cover the cost of security at the Games. The fiscal disaster could be attributed to many factors, including a national economic crisis – but the huge expansion of the government payroll and reckless spending for the Olympics are likely causes. In addition to financial crisis, zika virus is also adding concerns that if Olympics will be moved or postponed. The Olympics are predicted to cost 12 billion dollars. 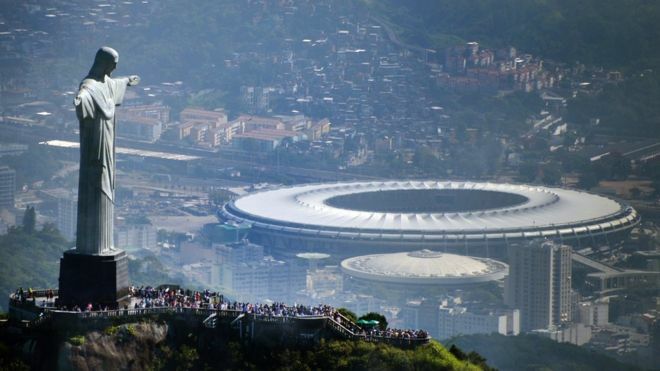 More than 40 percent of that will come from public funds, the rest from public lenders .Somebody will profit from the games, but it won’t be the majority of Rio population. Good Investor will always look for profits just for anything, if there’s money to be made, investors and traders will find it. Since 1984, host countries have generally seen a rise in their markets largely in line with the performance of American markets. One exception was the 2000 Games hosted in Sydney, Australia, when the DJIA was down 2.53% but the Australian market was down only 0.93%. The other notable exception was the Beijing Games in 2008 where the Dow lost 0.91% but the Shanghai Composite lost a staggering 7.69%. That is equal to nearly 1,000 Dow points at current levels. Stock markets react favorably to Summer Olympic Games and although the host country has to invest a lot of money into hosting the games, their markets tend to reward them. Final verdict: Let’s us wait and watch, if RIO Olympics will be an unnatural disaster or it will turn out the fortunes of Brazil.